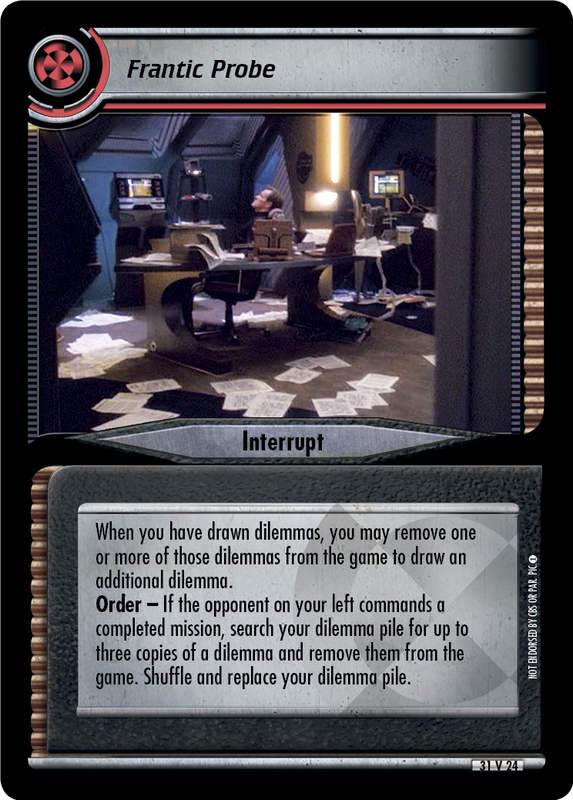 When you have drawn dilemmas, you may remove one or more of those dilemmas from the game to draw an additional dilemma. 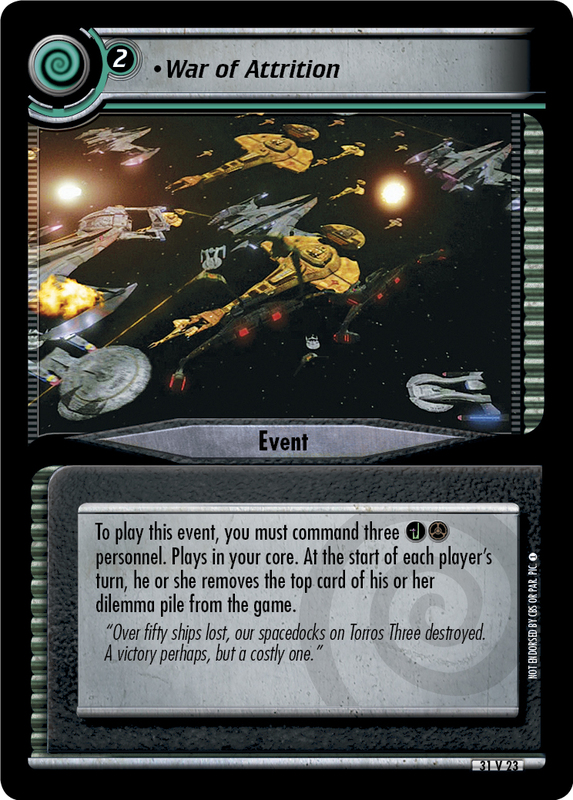 Order - If the opponent on your left commands a completed mission, search your dilemma pile for up to three copies of a dilemma and remove them from the game. Shuffle and replace your dilemma pile. 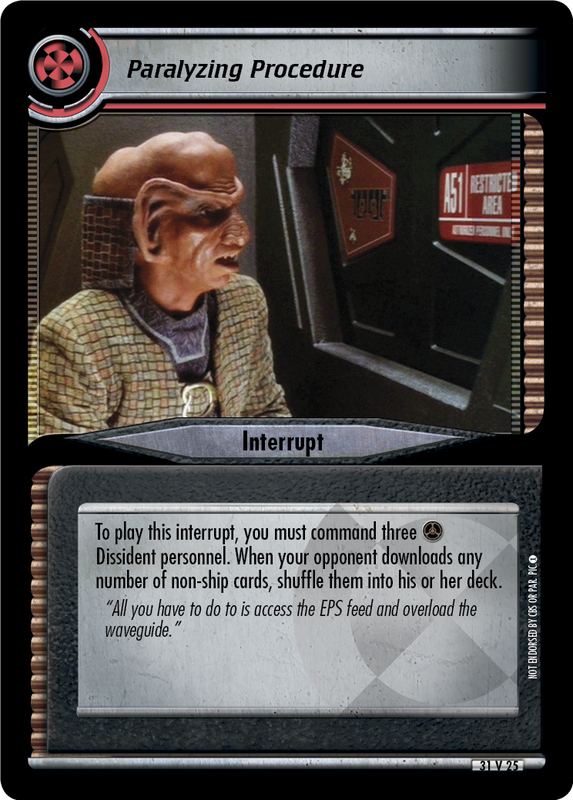 Image Source: Deep Space Nine: "Extreme Measures"